Shocking News Update! 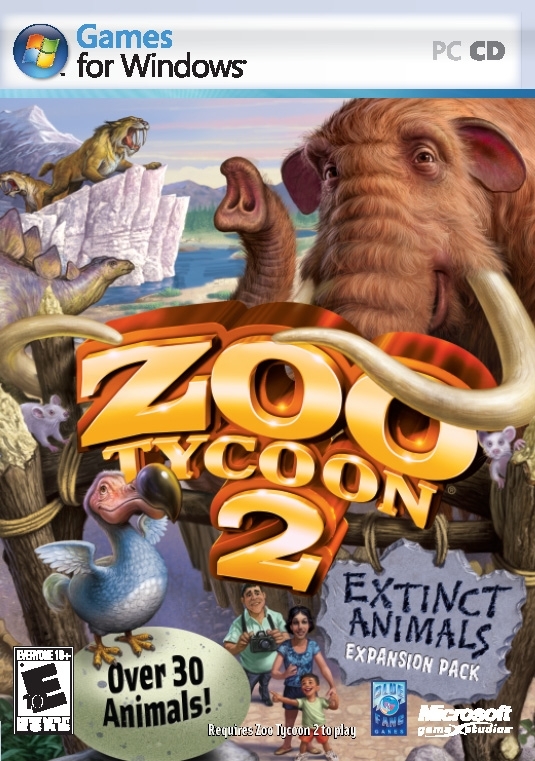 Zoo Tycoon scientists report an unprecedented discovery to worldwide astonishment, amazement, and, frankly, a few raised eyebrows: More than 30 Extinct animals are ready to be brought back to life—just for your zoo! 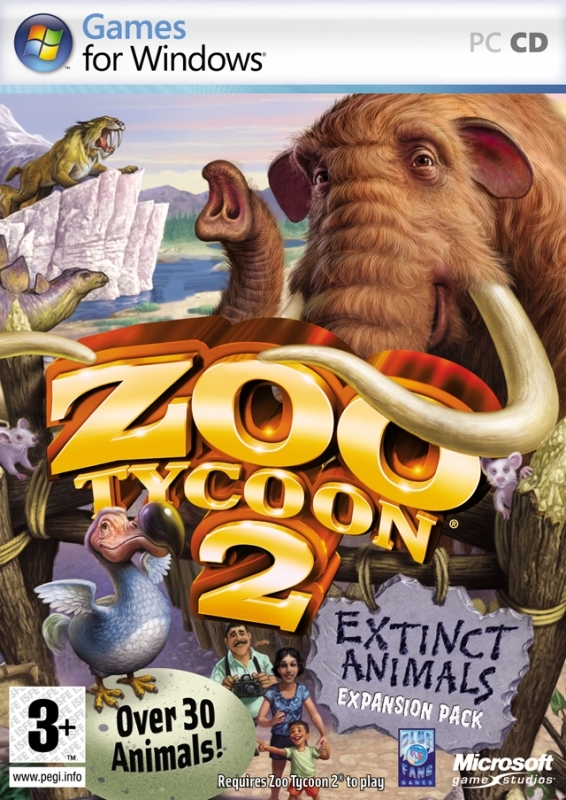 From the adorable dodo bird to the massive American mastodon, the ferocious saber-toothed cat, and the terrific T. rex, enchant your guests with animals from the past in Zoo Tycoon 2: Extinct Animals. Head out on a paleontology dig to search for fossils, assemble your finds, and then take them to the Extinct Research Lab to bring your Extinct animals to life! Unveil the drama of Extinct landscapes with misty springs, tar pits, glaciers—and maybe even a caveman or two. 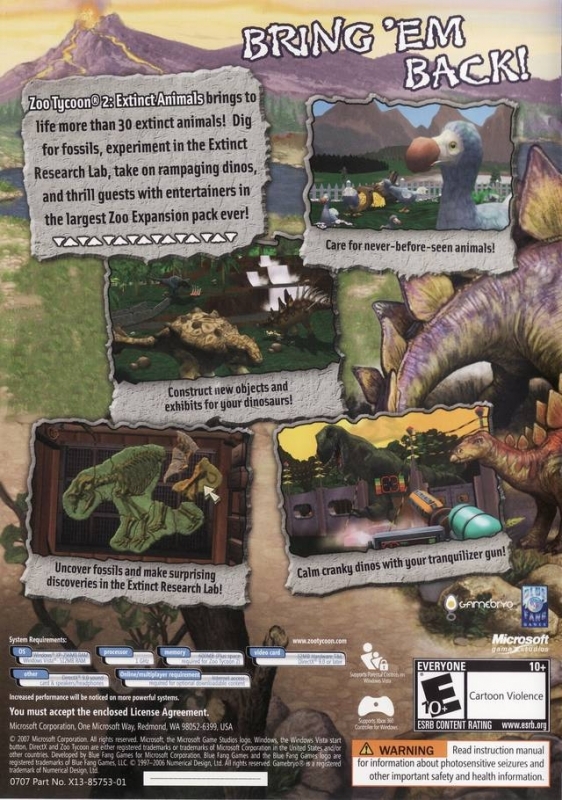 Once you’ve populated your Extinct zoo, you can research and cure diseases, and even wrangle a pack of rampaging dinosaurs in first-person mode! 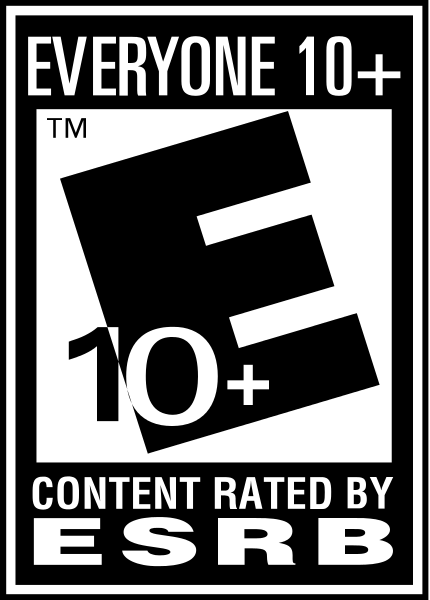 Do your part to bring ‘em back—and the thrill of experiencing Extinct animals will bring your Zoo guests back for more!